Talk Abstract: Optimization methods and practices are around for more than 50 years, but they are still criticized for their "curse of dimensionality". In this talk, we shall look at a specific large-dimensional integer-valued resource allocation problem class from practice and review the performance of well-known softwares, such as IBM's CPLEX, on the problem. Thereafter, we shall present a population-based heuristic search algorithm that has the ability to recombine short-sized building blocks, despite having overlapping variable linkage, to form larger-sized building blocks. The process is eventually able to solve a billion-variable version of the problem to near-optimality in a polynomial computational time, making the application one of the largest size optimization problems ever solved. Bio: Kalyanmoy Deb is Koenig Endowed Chair Professor at Department of Electrical and Computer Engineering in Michigan State University, USA. Prof. Deb's research interests are in evolutionary optimization and their application in multi-criterion optimization, modeling, and machine learning. He has worked at various universities across the world including IITs in India, University of Dortmund and Karlsruhe Institute of Technology in Germany, Aalto University in Finland, University of Skovde in Sweden, Nanyang Technological University in Singapore. He was awarded Infosys Prize, TWAS Prize in Engineering Sciences, CajAstur Mamdani Prize, Distinguished Alumni Award from IIT Kharagpur, Edgeworth-Pareto award, Bhatnagar Prize in Engineering Sciences, and Bessel Research award from Germany. 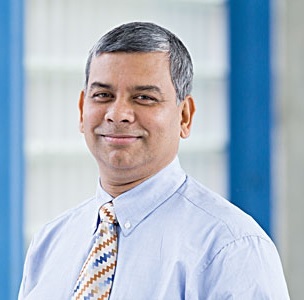 He has been awarded IEEE CIS's "EC Pioneer Award". He is fellow of IEEE, ASME, and three Indian science and engineering academies. He has published over 490 research papers with Google Scholar citation of over 116,000 with h-index 110. He is in the editorial board on 18 major international journals. More information about his research contribution can be found from http://www.egr.msu.edu/~kdeb.